Creating a modern living room begins with the right furniture. A modern sofa, contemporary coffee tables or armchair can make or break the outcome of any room. But when you find the right sectional or modern recliner to build around, you are only some paint and accessories away from creating your perfect modern living room set. 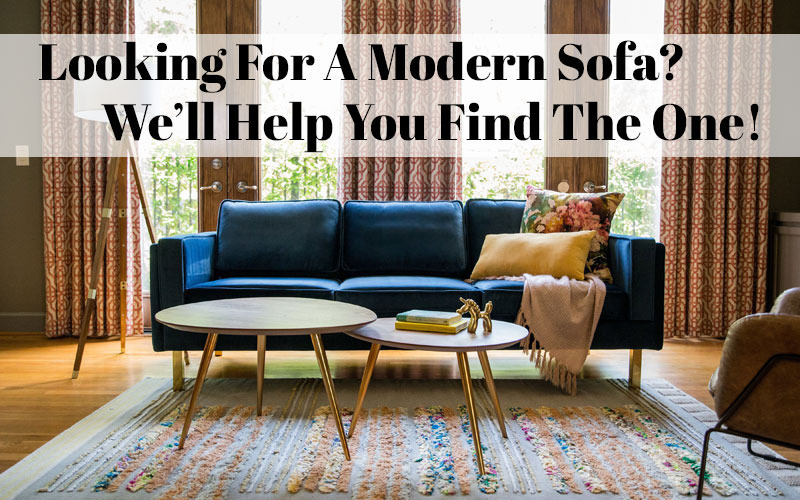 At Modern Digs we are here to help. We understand that contemporary modern living room furniture must marry comfort and your sense of style. You want to see a unique, affordable collection of products and price is important. That's why we offer the very best selection of contemporary living room sets for your home. We are constantly searching the world for new products and designs. Our goal is always to find the perfect blend of design and value. To meet that goal we only work with the best manufacturers and we price our merchandise as low as possible. In fact, we even offer our Best Price Guarantee. So take a look around. Whether you need contemporary sofas, glass coffee table or sectional for the living room, we've got it. If you're like us, the living room is the center of your home - the place you chill on the weekend, play games with the kids, or just catch up on a good book. Regardless of how you use your space, we know you want it to look clean and modern, without sacrificing comfort! Crafting the ideal modern living room begins with maximizing your seating space. If you've got the space, we recommend starting with a contemporary sectional sofa. Sectionals have an undeniable upside: their l-shaped design replaces floor space you would usually use for end tables with plush comfortable sofa. So you not only have more space to relax, you get to sidestep the really tough decisions like "what end table should I buy?" If you can't fit a sectional, no worries! Add in a combination of sofas and loveseats to create a cozy conversation space. Even a small apartment can swing a stylish sofa or one of our cool sofa beds! You can't make your space bigger, but make use of the space you have to create the ultimate pad! Another way to maximize seating is to look for ways to add accent furniture. One or two side chairs beside the fireplace enables you to add new colors and textures into your living space, making it truly yours! Or add a bench or chaise along a wall or in a niche to create a cozy reading nook. Once you've created a seating "base" in your home, the next step is to add functionality! 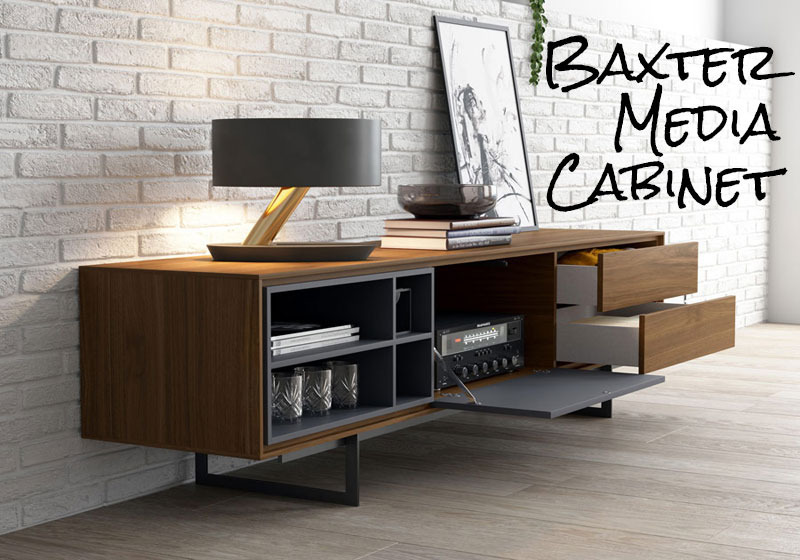 Built-ins are the ultimate contemporary modern furniture solution in a living room - there's nothing cooler than a stylish built-in cabinet and wall mounted television to keep your space feeling open and airy. Nevertheless, some of our cabinets and shelving give custom built-ins a run for their money! In a modern living room, only add storage you need! A cool etagere and TV stand are usually enough. Unless you have kids! If that's you, an extra cabinet or two to hide their toys is the way to go. Design tip: If your living room opens to another part of your home, consider defining the space with a cabinet or floating a sofa and placing a console table behind it. This approach gives you a visual barrier between the rooms, and will usually give both rooms better flow. Rugs! 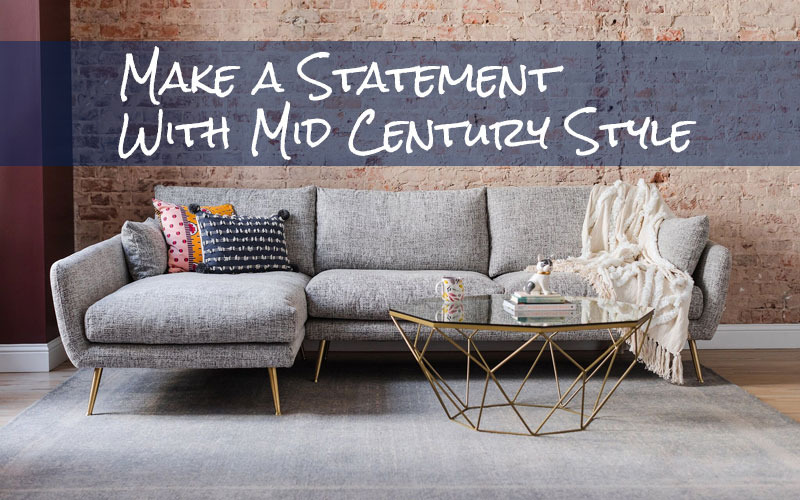 The easiest way to change the feel of your living room is a brand new rug, so we're big believers in finding a modern rug you love and filling your room with it. The bigger the better! Finally, add accents to make the space feel like you. Add a huge coffee table for game nights. Or, you might forego the standard coffee table altogether, and add a comfy, collage of poufs or big plushy ottoman in the center of the room. A collection of pillows, a blanket or two, and some cool artwork should tie everything together. Nothing in your living room set has to be matchy-matchy - usually it's easiest to tie everything to one piece like your rug or favorite piece of art! 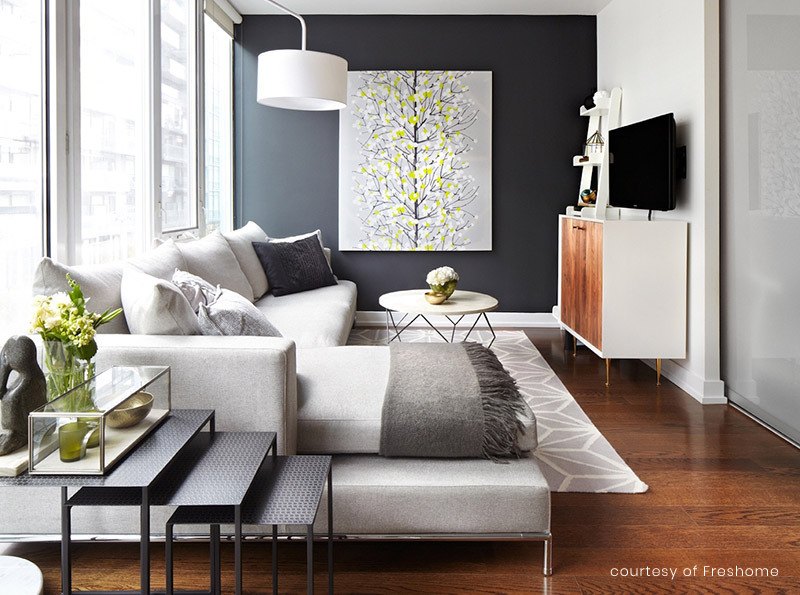 We talked to 8 Interior Designers to give you some great modern living room ideas. Looking for a soulmate in your living room? Read our guide to find the modern sofa of your dreams! Your complete guide for finding the very best sleeper sofa. Find Inspiration for Your Living Room with our 10 Best Mid Century Modern Sectional Sofas. Complete your living room with the help of our modern TV stand guide.